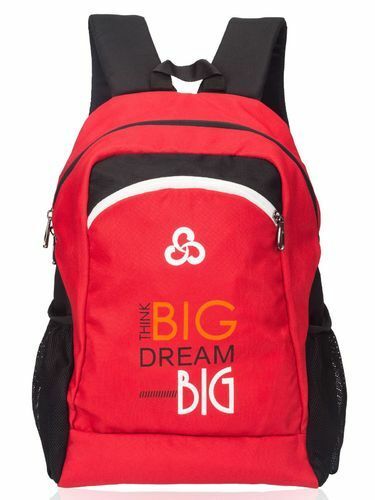 Carry Your Positive Attitude towards life A Think Big Dream Big" - Impress and motivate others Cosmus Think Big Dream Big Backpack is ideal for school and college students, available in vibrant 8 colours, which suits your personality and mood. Carry it in style and stand out from regular looking college bags School bag. Features on large compartment carry all your books and other essential items required daily in school college, Front organiser pocket is sufficiently big to hold your lunch box and other small items. Well padded shoulder strap & padding on the back makes the bag easy to carry. This light weight Casual Daypack can also be used for regular casual outings. Compact Size ideal for School and college students & Casual Daypack.